Secure & Certified E-Waste Recycling in Columbus, the rest of Ohio and across the United States. 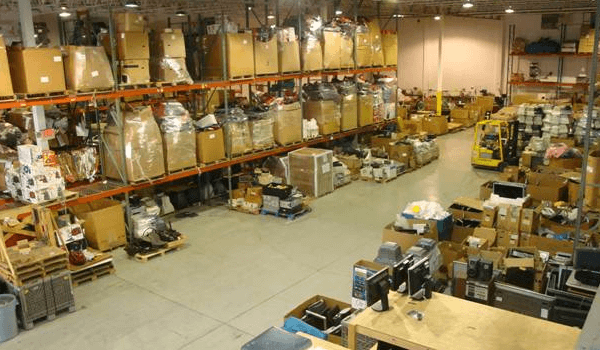 With IT Asset Disposition, Certified Hard Drive Destruction and On-Site Hard Drive Shredding, we are Columbus’ premier electronics recycling company. Recycle computers in Columbus with our convenient e-waste pickup and recycling services. Our convenient electronic recycling options will ensure proper handling of all of your e-waste. Secure Shredding of Hard Drives in Columbus and the surrounding area is safe and certified. We can send our special hard drive shredding system right to you and shred your hard drives while you watch. People nowadays just want convenience. Technology did that to the world. There was a time when we go to the post office to mail communication to family, relatives and friends. Today, the younger generation may not even know what a post office is of where it is located. They just click their smartphones and communicate away. All Green Electronics Recycling understands the need for convenience, which is why it provides electronics recycling pickup. You just need to get in touch with the company and schedule a pickup for Columbus Electronics Recycling. This way, you don’t have to think of ways on how to send your old electronics to the recycling facility. Battelle Memorial Institute – the world’s largest research and development foundation. Chemical Abstracts Service – the world’s largest clearing house of chemical information. NetJets – the world’s largest fractional ownership jet aircraft fleet. Ohio State University – one of the largest universities in the country. We’re The Best To Provide Columbus Electronics Recycling! Large corporations are already in the habit of proper disposal of wastes, especially electronic wastes, which are hazardous to the environment and the health. This is why the Columbus Electronics Recycling is an integral service present in the Ohio area. Having certification indicates that the organization pledges to employ the highest possible standards when it comes to disposing toxic materials common in electronics and other forms of technology.